So much importance is on the dress, the venue and the invitations, but once your day is over, your wedding photos are the only way to remember those little details forever. Which is why a good photographer should be high on your list of priorities. A good wedding photographer is the only way to capture and ‘freeze frame’ your most special day. Even though family and friends have the best intentions to ‘save you money’ by offering to take your shots, only the professionals understand the technicalities of light, life and love. Only they know the tricks and the traps. Wedding photographers are skilled professionals that have studied and obtained a certificate or qualification in their field. Hours and hours of dedicated practice has gone into making them the best. Make sure you trawl wedding websites in order to hunt down the photographers that capture the look you’re after. And when you think you’ve found the right one, make sure you also ask for their folio of work. Photographers are all not stock standard. Each and every photographer offers something different. The truly, experienced ones make the job of capturing the day, feel effortless. The organised ones will have a plan, a shot list and a host of different ideas that can make your day memorable. Choose carefully because every photographer has their own different style, both in front of the lens and behind it. Before you start hunting, you’ll need to decide the type of look you’re after, whether it be elegant, country, edgy modern, formal ,fun or just simply, romantic. Make sure you all click. You’re about to spend some of the ‘most important’ hours with your photographer, so whatever you do, make sure you get along. Even if the photographer has the ‘best pics’ you’ve ever seen, if you don’t fit with them, it will show in your shots. Find someone you feel totally comfortable with, because they are going to be running the show in order to get the best shots. If you don’t like them, then your pics will ultimately show the truth. Your photographer needs to know how to communicate with everyone and let them know where they need to be, and when, without making everyone feel like they’re in the way. 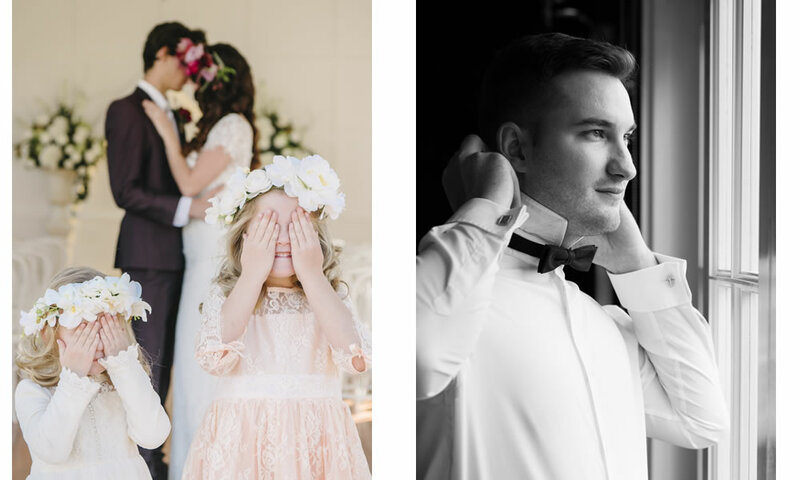 On your special day, there is no-one you will be spending more time with than your photographer… from the getting ready in the morning, to the ceremony, to the couple and family shots, to the reception. You have hired this person to capture every moment of your special day and you want to make sure it remains just that, special! Your wedding photographer has to be able to remain calm with things that may go a little differently than planned, but still keep everyone in check. Be sure to choose a photographer whose style is similar to yours and is able to create the type of pictures you want. After all it’s a day of love. A good photographer will make sure you’ll love your day, forever.